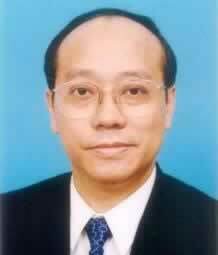 Far East Holdings International Ltd.
Mingyuan Medical Development Co. Ltd.
President & CEO, and Vice Chairman of the Board, Chia Tai Enterprises International Ltd. 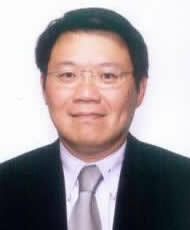 Founding Chairman, Chia Tai Department Store Ltd.
Senior Advisor, Chia Tai Vision Ltd.
Post-graduate diploma in English and Hong Kong law from Manchester Metropolitan University, U.K.
President & CEO, E-pin Optical Industry Co., Ltd.
Main areas of practice include international banking, corporate, corporate securities and commercial practice. Projects included mergers and acquisitions, SEC compliance work, SEC filings, purchase of assets and brand names for Asian clients, listing of American Depositary Receipts and litigation in the U.S. Managing Director, Fung Chi Kin Consulting Ltd.
Chief Administration Officer, BOC International Holdings Ltd.
Vice Chairman and CEO, Softbank Investment International (Strategic) Ltd.
Executive Co-Chairman, E2-Captial (Holdings) Ltd.
President, Softbank China Venture Investments Ltd. Independent Non-executive Directors of both hongkong.com Corporation and Capital Strategic Investment Ltd.
President, Taiwan Securities (HK) Co., Ltd.
CEO, Grand Cathay Securities (HK) Ltd.
Executive Director, Sung Hung Kai & Co., Ltd.
Executive Director, Barits Securities (Hong Kong) Ltd., Barits Ho Chong Securities Ltd., Barits Asset Management Corp. Manager, National Electric Appliance Corp.
CEO, Hong Kong Cyberport Management Ltd.
Executive Director and Deputy Group Managing Director, Shell Electric Mfg. (Holdings) Ltd.
Held various management positions in marketing and R&D within Cisco in Asia Pacific and California, U.S.A. 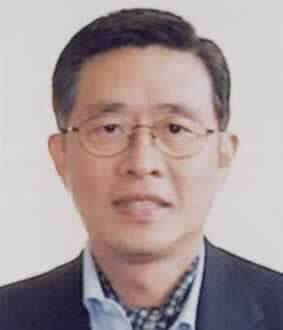 Managing Director, Pacific Consulting Group Ltd.
Head of Investment, Shanghai Industrial Holdings Ltd.
Asia Pacific Director of GAM Hong Kong Ltd.
Director and EVP, Head of North Asia, JAFCO Investment (Hong Kong) Ltd. 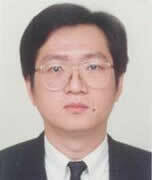 Managing Director, Far East Technology International Ltd. Founder, CEO, and CTO, ShaoLin Microsystems Ltd. Founder, Stanchion International Investment Holdings Ltd. Founder and Director, Grand Concept Group Holdings Ltd.
GM of Technology Service Group, China/HK region, Hewlett-Packard Co. Ltd.
Chairman and CEO, Trans-Telecom Holdings Ltd.
Chairman and CEO, Chairman and CEO, iTM Ventures Inc.
Head of Global Corporate Development, Shanghai Industrial Holdings Ltd.
Vice President, Corporate Development, S C Fulfil Ltd.
Director, Marketing & Strategic Business Development, Global Telecom Solutions Sector of Motorola (China) Electronics Ltd. Launched the world's first English-Chinese electronic dictionary in 1989, under the brand name "Instant-Dict"
President, Softbank Investment International (Strategic) Ltd.
Director, SBI E2-Capital China Holdings Ltd.
Director, SIIS Investment Management Ltd.
Non-Executive Director, M Dream Inworld Ltd.
Director, Softech Investment Management Co. Ltd.